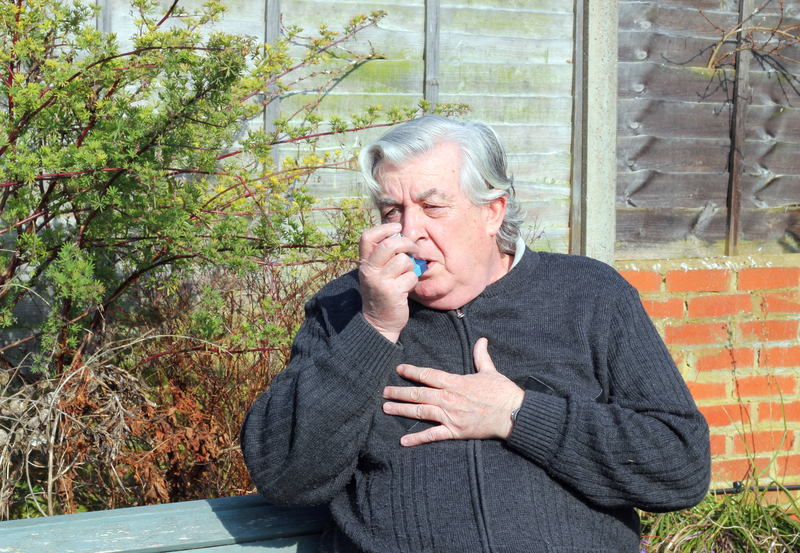 COPD and asthma are both very different, but they share some similarities as well. There is a chance that some with asthma can later develop COPD, but the reason why is not yet known. Knowing the differences and similarities can help you determine if a visit to the doctor to re-diagnose you is needed. Asthma is the top chronic childhood disease in the U.S., affecting about 10 percent of the population. Though a lot is known about asthma, researchers are still trying to determine the cause of asthma. It is currently believed that those with asthma got asthma due to a combination of environmental and genetic factors. Asthma is currently believed to be an obstruction that can be reversible. 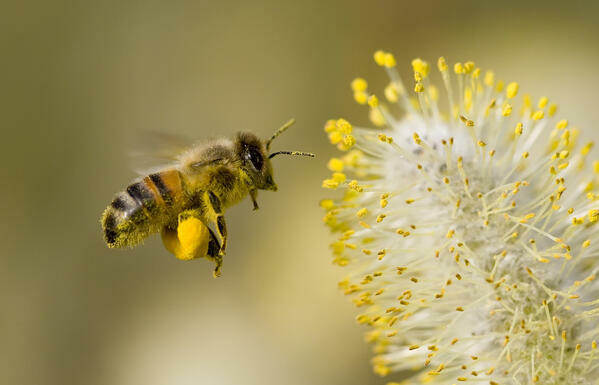 Exposure to a “trigger”, such as pollen, dust mites, mold, pet hair, physical activity, cold air, smoke, medications, and gastroesophageal reflux disease (GERD), can all induce a reaction in those with asthma. If severe enough, it can cause difficulty breathing, coughing, wheezing and shortness of breath. When a person with asthma has an asthma attack, the airways become inflamed and extra mucus is produced. Chronic obstructive pulmonary disease (COPD) is the top chronic adult disease in the U.S., affecting about 4 percent of the population. Nearly 40 percent of those with COPD, also have asthma. The number one cause of COPD is smoking, but you do not have to smoke to be diagnosed with COPD. COPD is a broad term for both emphysema and chronic bronchitis. Emphysema is when the walls and elastic fibers of the alveoli becomes damaged, lose elasticity and can collapse the (small) airways when exhaling. Chronic bronchitis is a condition that causes the bronchial tubes to become inflamed and narrow, and this causes your lungs to produce more mucus. It is also possible to develop COPD from a genetic condition called Alpha-1 Antitrypsin (AAt), which affects the proteins that protects the lungs. COPD is considered an obstruction that is not reversible. It can be triggered by environmental pollutants, strong scents, cigarette smoke and many other irritants. Though asthma and COPD are different diseases, they do have some similarities. Both diseases consist of inflammation in the airways often due to exposure to a trigger. Symptoms of COPD and asthma are also very similar, as patients with either disease can experience wheezing, coughing and shortness of breath. It is believed that the causes can be similar as well, as asthma is believed to be because of environmental factors, same with COPD. Often asthma and COPD are both diagnosed with a spirometry test. It is believed that those with asthma are at a higher risk of developing COPD in the future. Those with asthma are 12 times more likely to develop COPD later in life compared to those without asthma. For those with asthma, limiting exposure to smoke and air pollution can lower the risk of developing COPD. Some people who have had an asthma diagnosis, but no longer have any symptoms do not have an increased risk of developing COPD. This is why it is so important to treat asthma symptoms at the early stages of asthma to prevent it from worsening in the future. It is believed that smoking and continuous episodes of acute bronchitis can turn asthma into COPD. It is still unknown on how COPD and asthma can coexist together. For asthma, the diagnosis comes after a few steps. Your doctor will ask questions to learn more about your personal and medical history as well as a physical exam and may have you do a few tests to confirm their diagnosis. Tests can include a spirometry, peak airflow, FeNO test and provocation tests. A spirometry measures how much air you inhale and exhale, as well as how quick you can exhale. Peak airflow meters measure how narrow the airways are and can detect even the slightest difference compared to healthy lungs. FeNO (fractional exhaled nitric oxide) tests consist of measuring the nitric oxide that is in your breath, which can tell doctors how much inflammation is in your airways. Provocation tests (or trigger tests) involve one of three methods, either being exposed to an irritant, exposed to exercise or exposed to a drug that will tighten your airways. COPD has a few more tests that may be done to confirm a doctor’s original diagnosis. Some tests include lung function tests, x-rays, CT scans, arterial blood gas analysis and lab tests. Lung function tests commonly use spirometers to measure the amount of air inhaled, exhaled and how quickly it can be exhaled. X-rays can determine if it is emphysema or an issue with the heart. CT scans can detect emphysema, lung cancer and if surgery is an option. Arterial blood gas analysis measures how well the lungs are bringing oxygen into the blood as well as removing carbon dioxide from the body. Lab tests are often a last resort to determine if alpha-1 antitrypsin could be the cause, or to rule out other conditions. Asthma treatment tends to be a long-term treatment plan, as well as understanding triggers and avoiding them. Asthma treatments can include quick-relief medication (inhalers), allergy medications, long-term asthma medication (corticosteroids), and bronchial thermoplasty. Quick-relief medication is used in emergency situations where your airways and narrowing, as these medications can help relax the muscles. Allergy medications can help those who have allergen-induced asthma. Long-term asthma medication can help over a period of time and can help keep the lungs relaxed. Bronchial thermoplasty is when a medical professional heats the lungs with an electrode to shrink the smooth muscles in the airways and prevent them from being able to tighten. COPD medications are also focused on long-term treatments, and the goal is to control symptoms. Some forms of treatments include taking medications, lung therapy, and surgery. There are many medications to help COPD patients, and which medication depends on the patient and the stage of COPD. Lung therapy can include oxygen therapy and pulmonary rehabilitation. Oxygen therapy is supplying medical grade oxygen to the lungs so when inhaled, there is more oxygen that when you would breath normal air. Pulmonary rehabilitation focuses on helping the patient strengthen their lungs and learn more about diet and their health. Surgery is normally a last resort, and there are a few different surgeries depending on your COPD and your stage. Both asthma and COPD are long-term conditions that do not have a cure, and their outlooks are very different from each other. There is now belief that asthma can later turn into COPD if not managed and controlled. 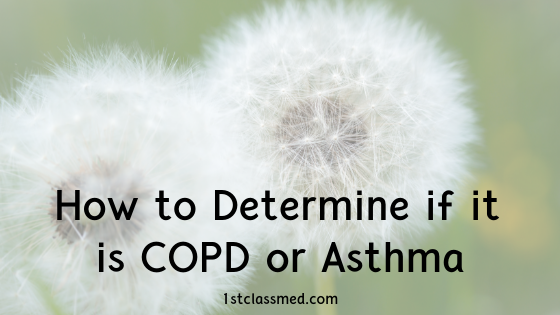 Though both asthma and COPD are vastly different, there are also many similarities between the two conditions. It is important to always discuss with your doctor any concerns you may have about your condition, or if you feel you may have been misdiagnosed.